Here’s a list of where we’ve spotted rare Pokemon in the LA area. These locations are not the ONLY place you’ll find these rare critters, but they do seem to appear more likely. 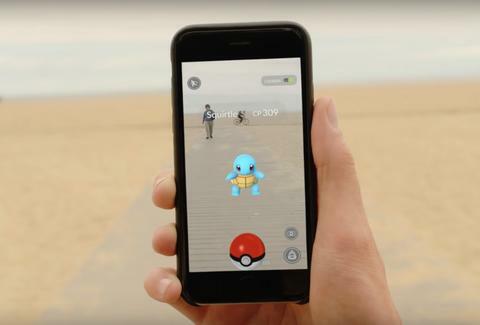 The list is based on our own experience PokéHunting, reports on Reddit threads, and the dozens of Pokémon Go LA Facebook groups that have sprouted up like Bellsprout. Just look at the above list: Santa Monica Pier is one of the top places to find rare Pokémon. More than a dozen lured PokéStops along the pier and boardwalk have attracted hundreds of Pokémon trainers every night till 2-3am over the past week. Pokémon Go has actually made it feel safer to walk the pier late at night as nearly everyone is playing, and helpfully shouting out rare Pokémon that pop up along the pier. The pier is perfect for water Pokémon too: Seel, Shellder, Goldeen, Horsea, Magikarp, Tentacool, and Krabby have all made appearances. 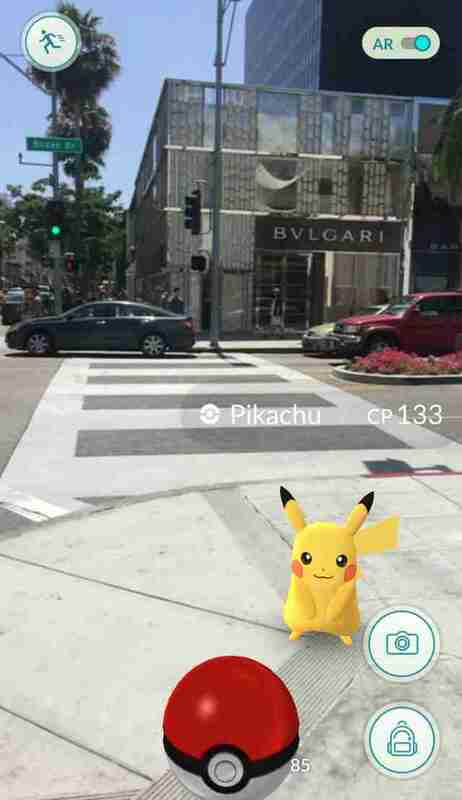 Pikachu has been spotted several times around Beverly Hills, walking into the BVLGARI, and near the Beverly Wilshire Four Seasons. He’s clearly a posh Pikachu Pokémon. Charmander likes to frequent the La Brea Tar Pits, appropriately enough for a fire type. So many Charmanders are found here, that it’s been called a Charmander “nest,” an area that reliably and frequently spawns a certain type of Pokémon. Polliwog Park features rolling green hills, nice lake, and Magmar nests. 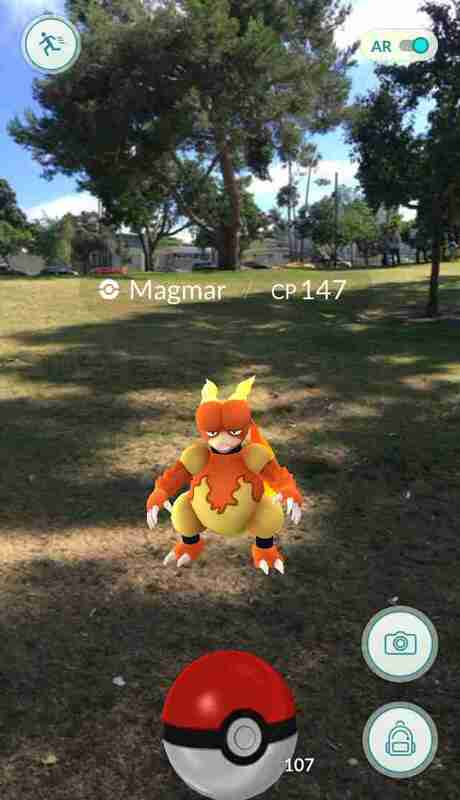 Be on the lookout for many Magmar strolling about as you explore the park’s several PokéStops. 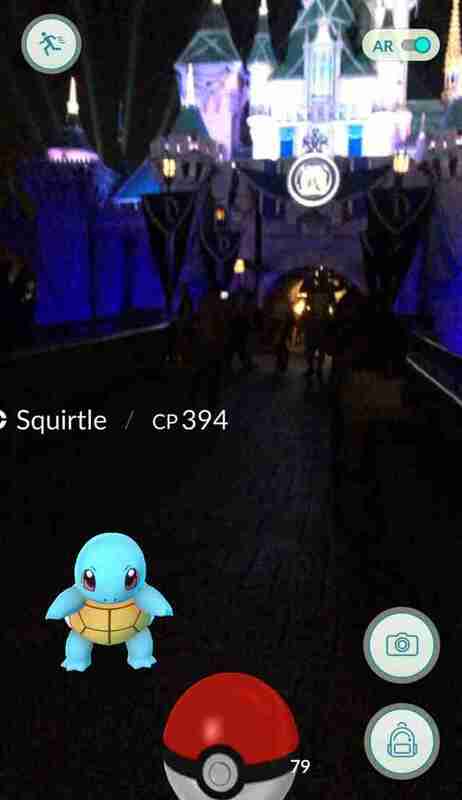 Disneyland is a PokéMecca, with nearly every ride or attraction a PokéStop, most with lures. You can catch Pokemon non-stop while waiting in line for rides. As the parks close, trainers flood into Downtown Disney, with more than a dozen PokéStops. Dozens of PokéStops often with lures. 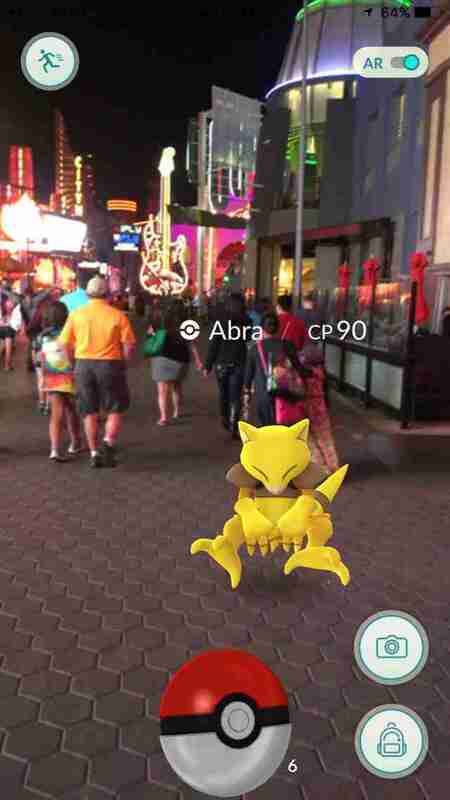 Stay by the Globe Theatre for the best luck, though this Abra was spotted heading into the Hard Rock. The center Elephant courtyard has three lures, often lit up, which attract rare Pokemon. You can battle at the nearby TCL Chinese Theater, a Pokémon gym; this Clefairy was spotted window-shopping at Victoria’s Secret. You’ll find them in Little Tokyo, which has dozens of PokéStops. 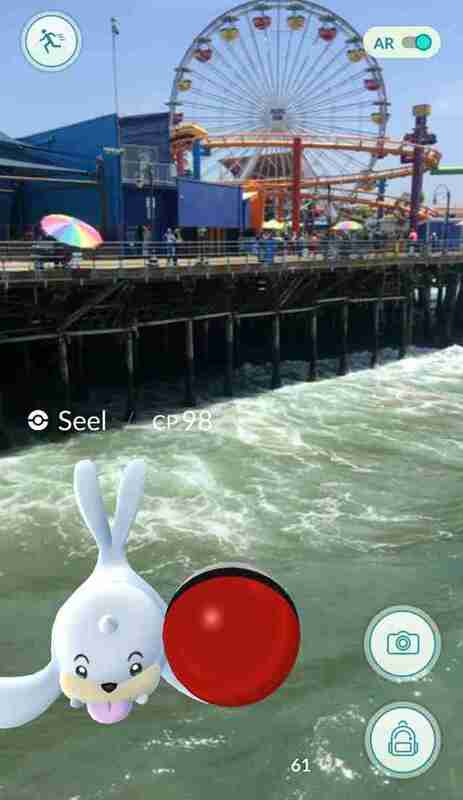 The Long Beach boardwalk and Downtown attracts several rare types, including water Pokémon like Poliwag, Poliwhirl, and Dratini. Overall pro tip: Though unproven officially, it’s thought that rare types spawn where there are a lot of players, which is why high-density PokéSpots like tourist destinations, theme parks (Disneyland, Universal Studios, Six Flags, Knott's) and malls (Grove, American in Glendale) have higher rare sightings. Also: always incubate your eggs, which can hatch rare Pokemon. And since Niantic, the developers of the Pokemon game for Nintendo, have an LA office, we bet there are some rare Pokemon there too. Kevin Winston is founder and CEO of Digital LA, the largest networking group for digital startups and entertainment professionals. He is also founder of Silicon Beach Fest, the original and largest tech festival in LA, with panels, keynotes, and mixers celebrating LA’s tech scene. Follow him on Twitter and Instagram and his company @DigitalLA. Pokemon Trainer ID: PoKevMan, Level 20.